Just over a week ago Blizzard released Bastet Rises, a short story which delves into Ana’s history doing good while dressed as a cat god – though the details of all that may have gotten lost in the news that Soldier: 76 is gay. But now that story serves as the basis for new animated Overwatch short, and it’s been spiced up in the fuzziest possible way: with cats. This one comes courtesy of Dillon Gu, who’s had plenty of experience Overwatch cats and lavish fight scenes – his YouTube channel is full of both. Given the cat memes that have popped up since Bastet Ana entered our lives, it’s little wonder Blizzard commissioned an official video from Gu, and the results don’t disappoint. You want to see feline Ana do ninja moves against evil mice? You’ve got it. How about a Nano Boost filled with catnip to give Kitty: 76 a buff? That’s here. The only thing that’s really missing is a ‘cat nap’ pun when sweet cat granny Ana puts the kittens to bed. While this is principally focused on feline shenanigans, there are a couple ties back into human Overwatch business. But hey, you can see all that for yourself in the video below. If you can’t get enough cats in your Overwatch, there’s still time to complete Ana’s Bastet Challenge and claim the special skin for yourself. That link has more details on the event, but basically you just need to win nine matches before the event is over. My question now is this: Jetpack Cat when? 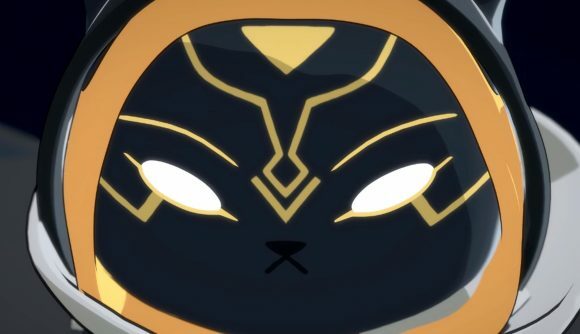 Come on, Overwatch can’t keep playing with all these cat events and then leave us hanging when it comes to our most wanted feline.